The first group of clients I work with are those who are retired or nearing retirement. Their concerns usually include generating sufficient income over their expected lifetime without running out of funds. Some are concerned that Social Security will either not be available or will be insufficient to provide any meaningful income. Typically, five years on either side of retirement there are critically important financial decisions that need to be addressed. I find that I can have the most positive impact during this period. The second group of clients are seeking advice on providing education for their children or grandchildren. They are concerned about the rising costs of college and how to cover them. Tuition pre-payment plans, education savings plans, gifting and other options can create so much confusion that often time, decisions end up being postponed. These clients are looking for direction and information on the options available and the course of action that best fits their needs. Both groups may also be concerned about passing assets on to their heirs and desire to set up plans to provide funds when needed at the most cost and tax efficient manner. My clients tend to be college educated, middle class families and work(ed) in white-collar occupations, such as middle level management, sales, small business owners and professionals. Many clients often have goals to travel, own a vacation home, volunteering for their favorite charitable organization, or just have more time for family and friends. The financial objectives for most of my clients are growth of capital and income generation while minimizing loss of principal. They are long-term investors looking for direction not active trading. Investment returns sufficient to meet their goals are more important than trying to beat a meaningless index. They are receptive to new ideas for managing their retirement assets and are willing and able to take action once the advantages and disadvantages have been discussed and understood. 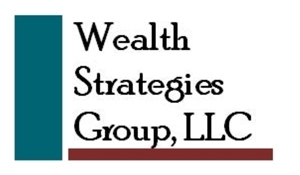 I provide a “one-stop shopping experience” for those clients who, while they may need and are interested in increasing their financial education, are capable and intelligent investors. They understand the difference between short-term market results and focusing on their long-term goals.